Both Screening and Diagnostic Mammography are offered by Greig Associates at the Victoria Drive locations. 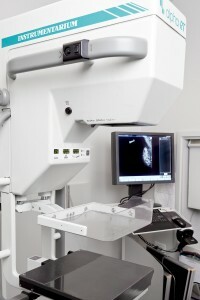 Screening mammograms are vital in detecting early breast cancer. Women aged 40 or over living in B.C. can call for an appointment (Tel: 604-321-6770) or drop in to the clinic ( appointments subject to availability) to have this procedure at no charge. Diagnostic Mammography is by appointment only and requires a referral from your physician. Location and operating hours are available here.